Microsoft’s rapid-fire announcement and release of Win10 1803 left many Win10 1709 users — and me — wondering why they were upgraded so soon. There’s an answer, but you probably won’t like it. One of the endearing qualities of Windows 10 is its redefinition of common household terms. Case in point: In Windows Update, clicking “Check for Updates” doesn’t just, you know, check for updates. It checks, queues them up, and installs them, bam-bam-bam, with no emergency escape switch to block the inexorable progress. Once you’ve clicked “Check for updates,” your only opt-out is to pull the plug on the internet connection. That’s how it’s been forever — and will, no doubt, continue until Windows freezes over. In the past, when a new version of Windows rolled out, Microsoft approached it cautiously. Those who went to the Download Windows 10 page could manually install the latest version, of course. After the release date, and at an undocumented pace, Microsoft would gradually roll out the new version to machines that, based on telemetry, were most likely to tolerate the jolt to the system. The rollout took months. During the rollout period, you could click “Check for updates” for a substantial period of time — days, weeks, months — before the new version would appear. It all depended on whether your machine’s telemetry identified the machine’s inner workings as being new-version-tolerant. Machines were upgraded to the new version when Microsoft’s matching algorithm determined they were ready. Some people found themselves on the new version after clicking Check for Updates. Most were just updated overnight. That all went out the window this week. Now there’s a new term — “seeker” — and a new behavior. At least, I’ve never heard the term “seeker” before. If you’re running Win10 1709 and you click on “Check for updates” any time after version 1803 was released midday on Monday, you become a seeker. Microsoft had a hard time getting version 1803 out the door. Build 17133 shipped on March 27. Most people expected that to turn into the final version of 1803, but it was usurped on April 16 by 17134 with vague mumbles about blue screens. Build 17134.1 got a cumulative update on April 27 that turned it into 17134.5. Yusuf Mehdi announced the release of Win10 1803 on the same day. But the version that’s being pushed right now is the older one, 17134.1. There’s been very little time to think, much less explain. The April 2018 Update is available today if you go to Windows Update and manually check for updates. We will begin the global rollout out via Windows Update on May 8. As with previous rollouts, we will use real-time quality feedback to smartly update your device when we have data that shows your device is ready and will have a great experience. 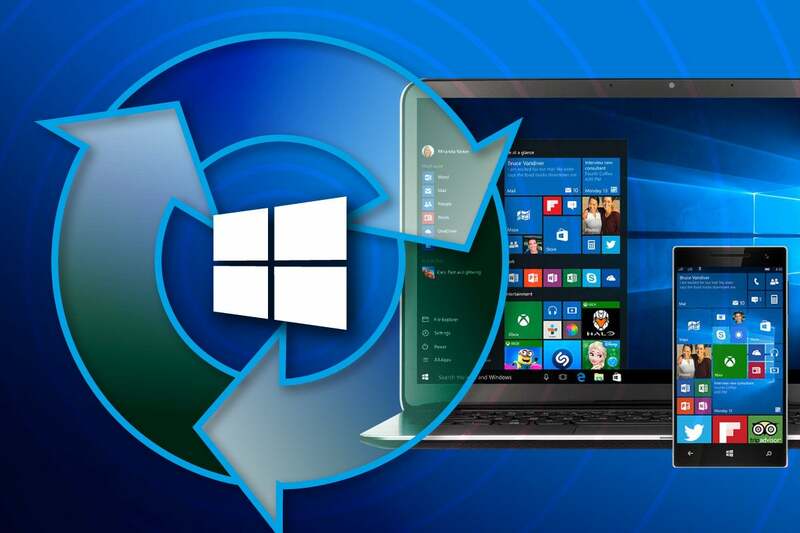 You don’t have to do anything to get the update; it will roll out automatically to you through Windows Update if you’ve chosen to have updates installed automatically on your device. There’s no official definition of the “seeker” term that I can find, and no definitive explanation of the behavior. But as best as I can tell, unless you have Windows Update set to defer updates (a complex, mashed-up mesh of settings), when you become a seeker, you become fair game. Microsoft pushes 1803 onto your machine. It isn’t clear if there’s some sort of seeker safety net. If you become a seeker but your machine is clearly version-1803-intolerant (or perhaps it’s not sending enough telemetry), I’ve seen no reticence. Your machine gets it. If you know of a counterexample, I’d sure like to hear about it on the Lounge. How would it affect your user experience if “Check for Updates” meant check for updates instead of “Install all Available Updates and Upgrades”? How would it affect your user experience if updating and upgrading was a two-step process: 1) Check for Updates/Upgrades, and 2) Download and Install Updates/Upgrades? The button DOES say “check for updates” instead of “install available updates now”. This sure smells like an outright attempt at deception, presumably to enlist more unpaid testers sooner. It’s just one more example of patching changes without warning. Oh, just a little ginger ale, dear. Are you an involuntary seeker? Join us on the AskWoody Lounge.